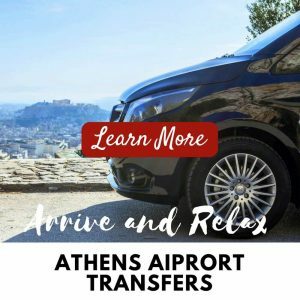 " This is a great way to see Athens from a completely novel perspective and enjoy the day with your friends "
★ ★ ★ ★ ★ Peter, traveller from Roodepoort, South Africa.
" It was the best day during our holiday week "
★ ★ ★ ★ ★ Rubina, traveller from Cologne, Germany.
" Our very well travelled grandchildren rated this experience the “best day ever!” We were treated royally and had a magical experience! " 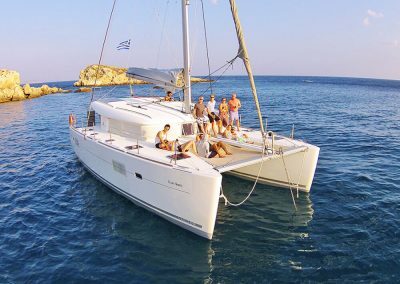 One of the best experiences we’ve had in Athens that gives you an effortless and luxurious way to experience the beautiful Athenian coastline aboard a spacious catamaran. 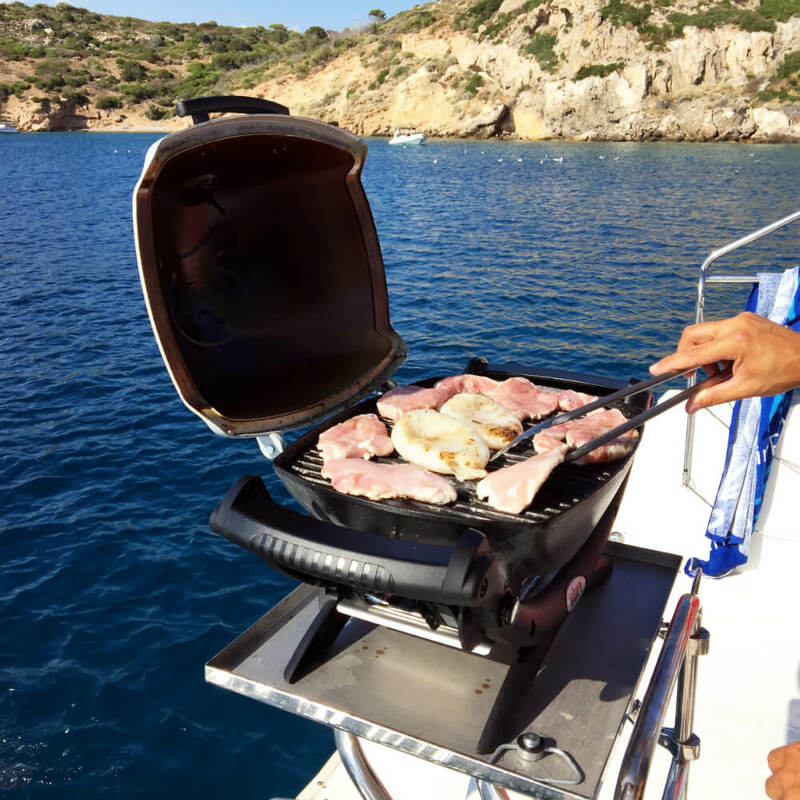 Lunch is prepared on board whilst you swim in the beautiful tranquil waters off the Athenian shoreline. 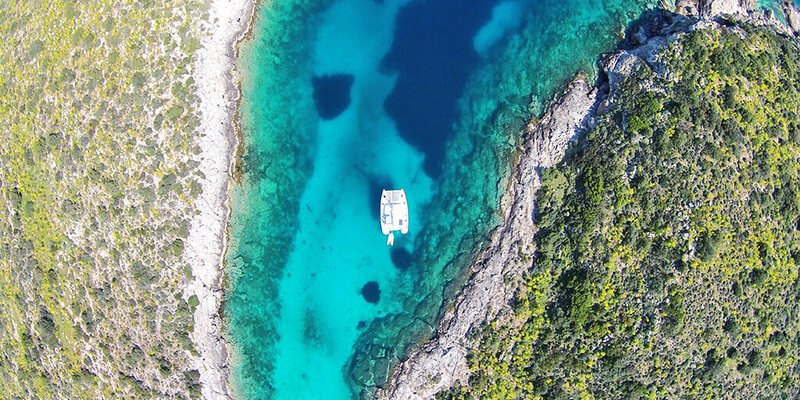 With a young and energetic team, this excursion translates to the highest level of service and consideration for your enjoyment and relaxation. Semi-private sized groups means there are no more than ten people on board. 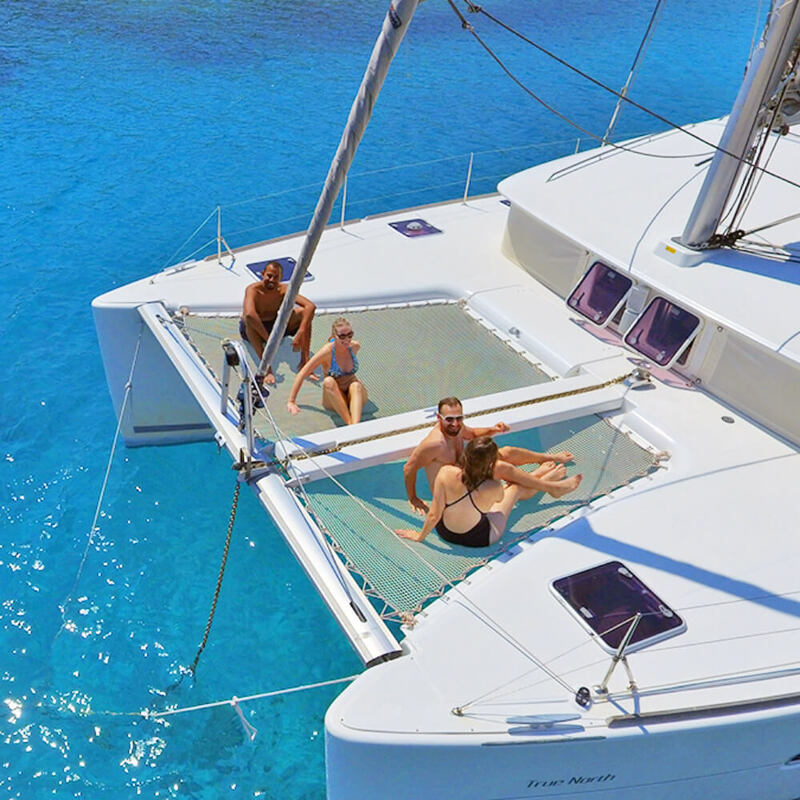 The luxurious catamaran experience is suitable for couples, solo travellers, groups and families and is one you’re unlikely going to forget. With only two boutique trips scheduled each day, book now and don’t miss out. Runs daily from April to October. * Duration around 5 hours (25 nautical miles). Start at 10:00am or 3:00pm. You choose! Your swimming costume, sunglasses, a good quality hat, sunscreen and camera. A light jacket on cooler days. 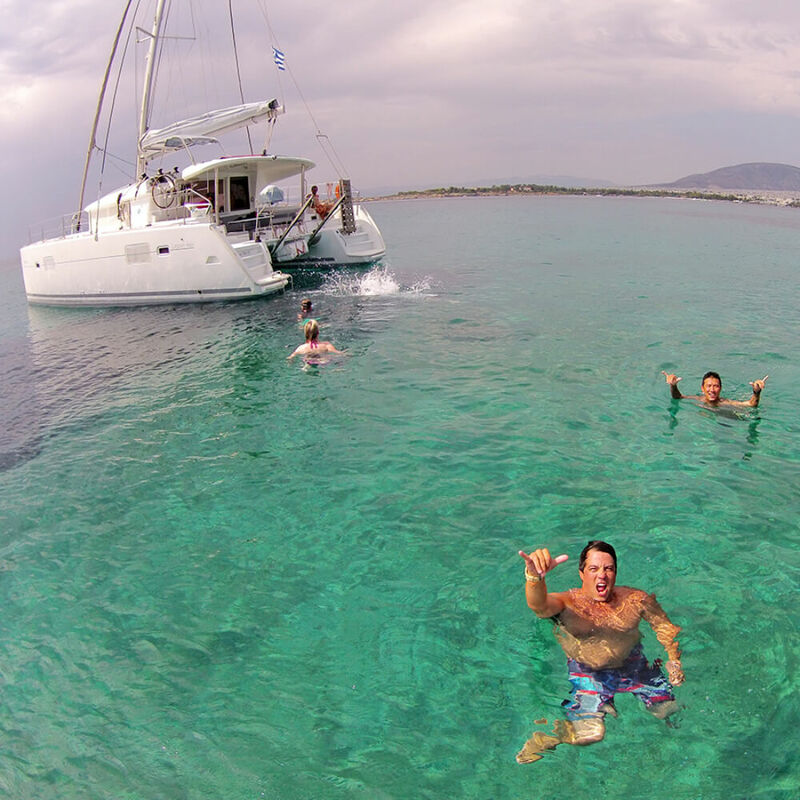 Your safety will come first and you will be in the best hands with an experienced Greek crew. 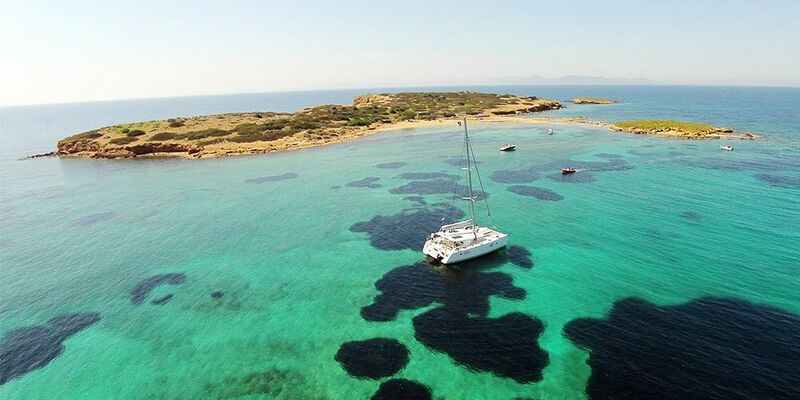 The Sailing Athens team have an impeccable sailing record with more than thirteen years commercial sailing experience. 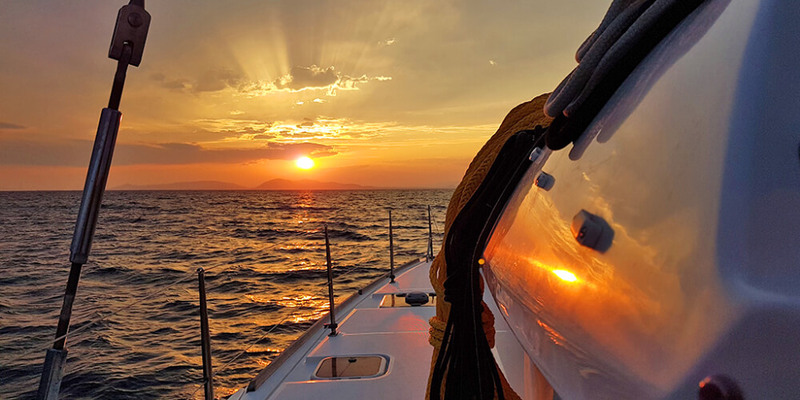 A complete vessel orientation and safety briefing is conducted before departure. Safety jackets are available for all passengers. 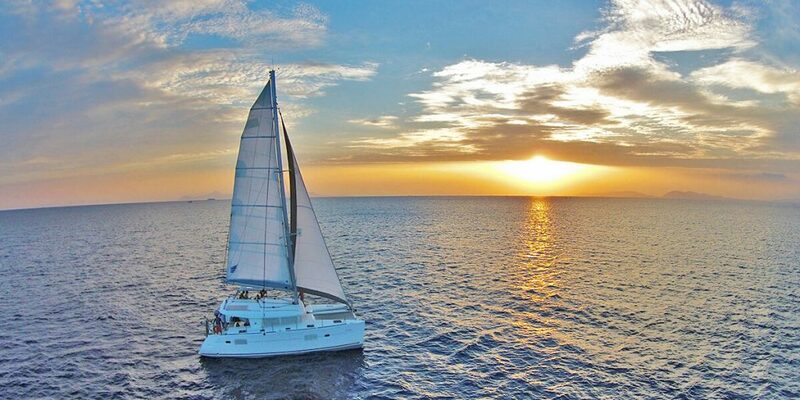 What we loved: Sailing on a catamaran provides a much more smooth and relaxing journey. We particularly loved the sunbaking nets at the front and back of the vessel. The crew gave us enough space to take it all in and give our tired little selves space to recharge the batteries. 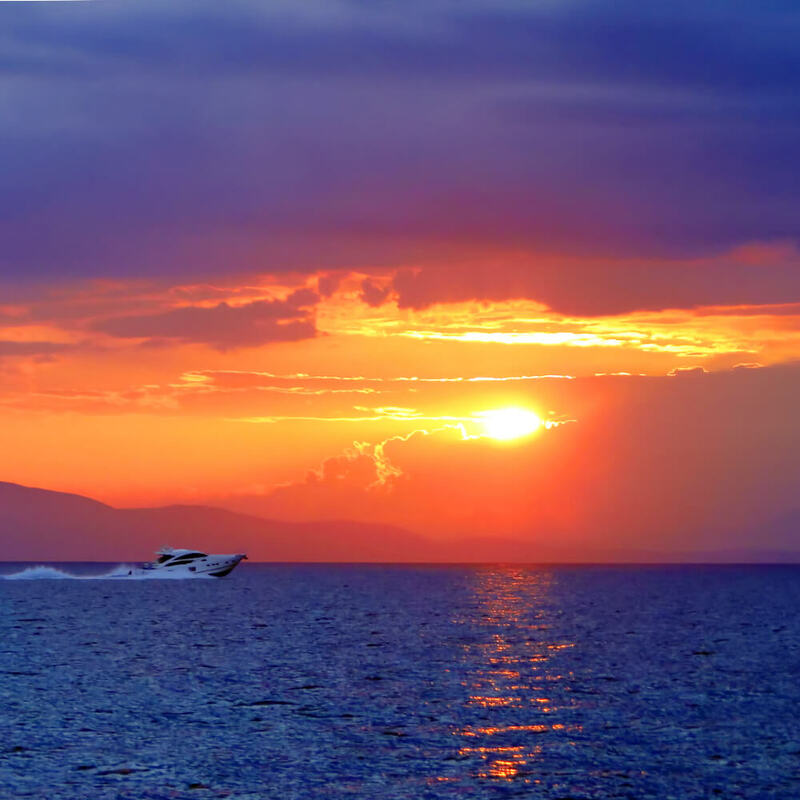 Why Athens Tips: If you are a photography lover, book the 3:00pm slot for magical sunset shots. 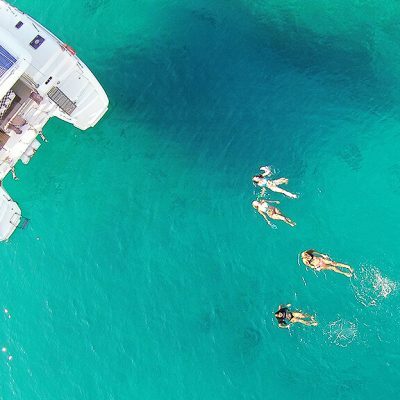 Private charters available for large groups. You can enquire here at [email protected]. 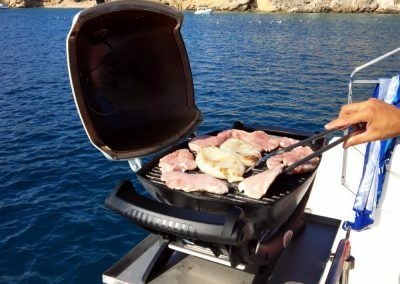 This excursion is subject to good weather conditions. If cancellation occurs due to poor weather, you will be given the option of an alternative date or full refund. Confirmation: Bookings are subject to availability and will be confirmed within 48 hours to the email address you provide. Cancellation Policy - If you cancel at least 21 days in advance of the scheduled departure, there is no cancellation fee. If you cancel between 7 and 20 days in advance of the scheduled departure, there is a 50 percent cancellation fee. If you cancel within 7 days of the scheduled departure, there is a 100 percent cancellation fee. 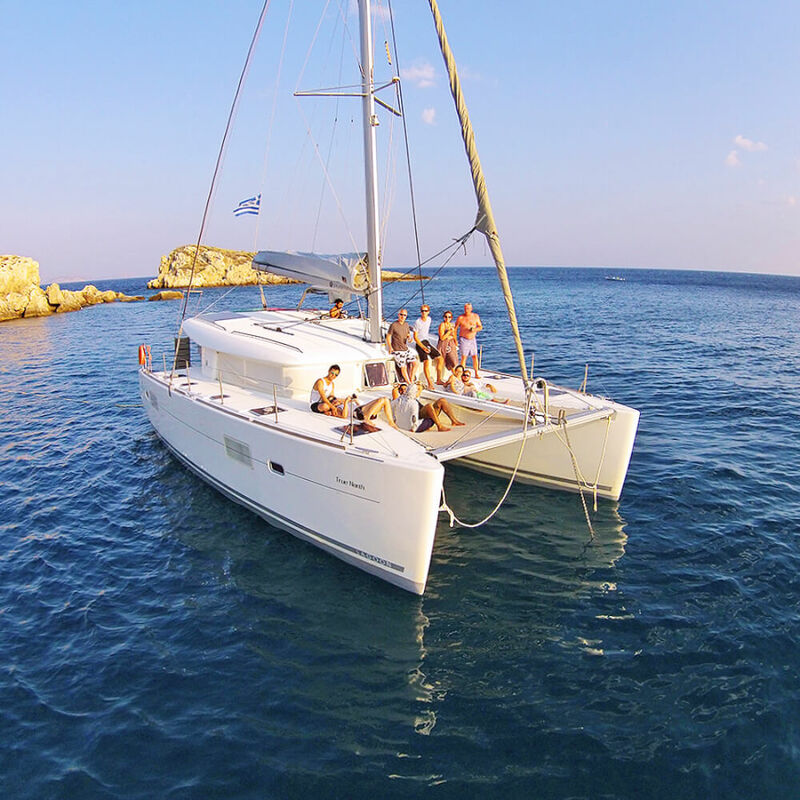 One of the best experiences we’ve had in Athens that gives you an effortless and luxurious way to experience the beautiful Athenian coastline aboard a spacious catamaran. 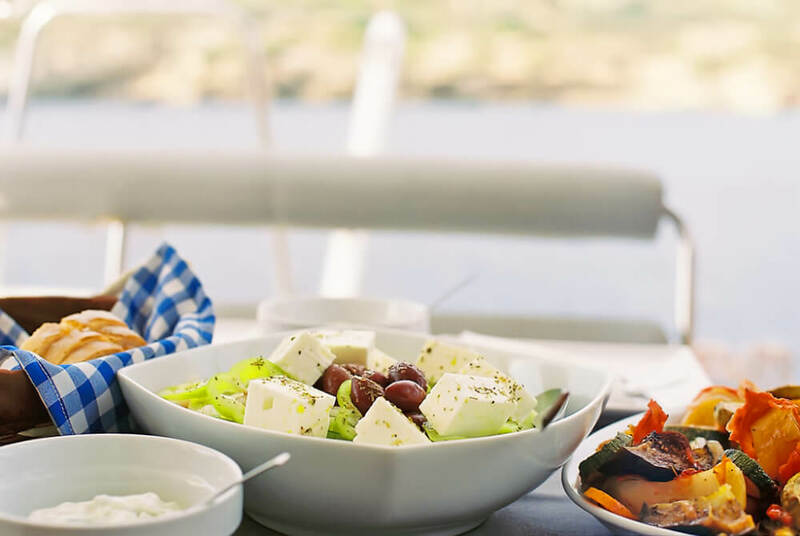 Lunch is prepared on board whilst you swim in the beautiful tranquil waters off the Athenian shoreline. 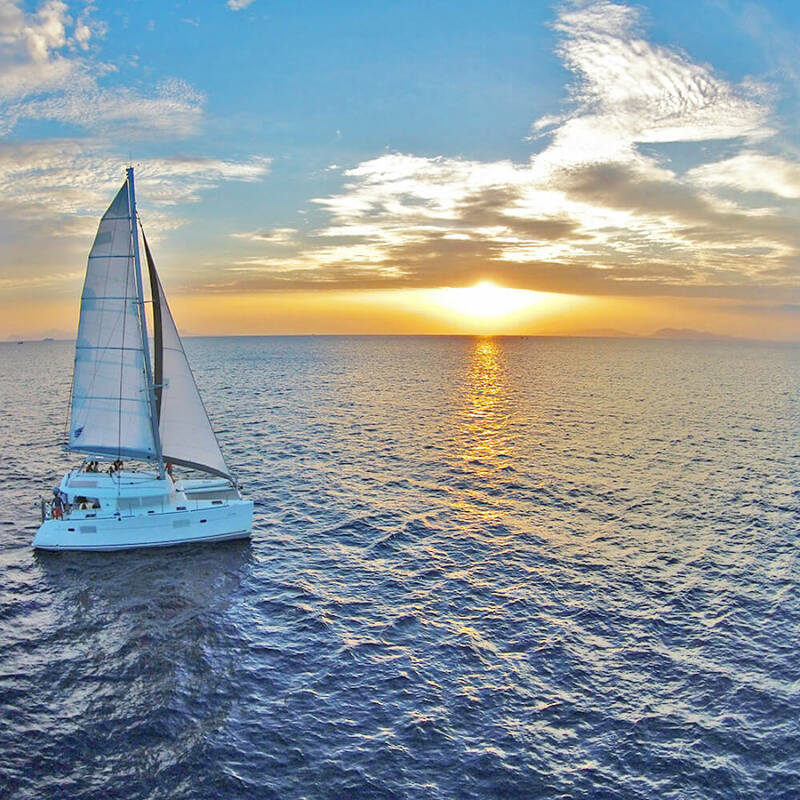 With a young and energetic team at the helm, this excursion translates to the highest level of service and consideration for your enjoyment and relaxation. 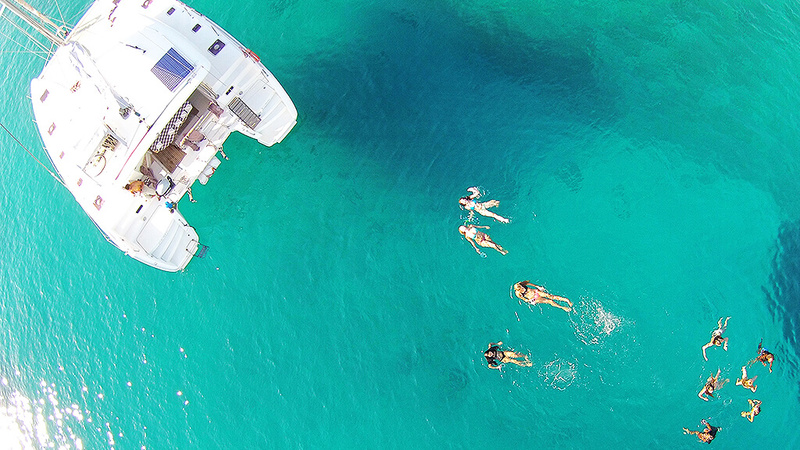 Semi-private sized groups means there are no more than ten guests on board each trip. 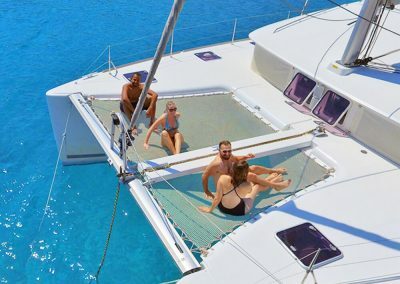 The luxurious catamaran experience is suitable for couples, solo travellers, groups and families and is one you’re unlikely going to forget. 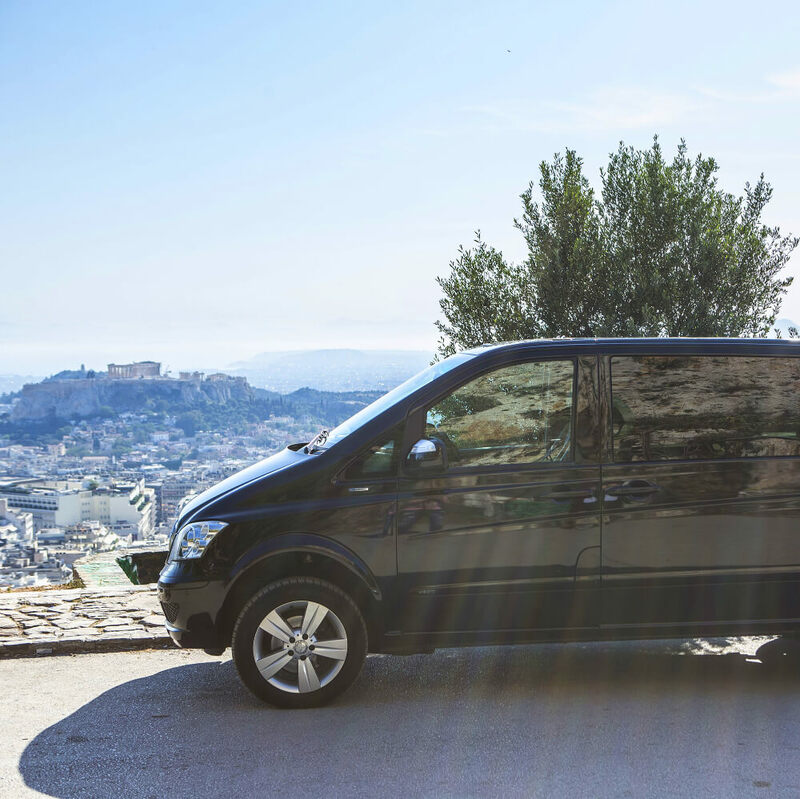 With only two boutique trips scheduled each day, book now and don’t miss out. Runs daily from April to October. 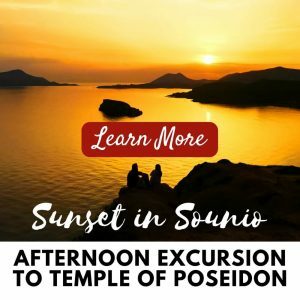 Why Athens Tips: If you are a photography lover, book the 3:00pm slot for magical sunset shots. 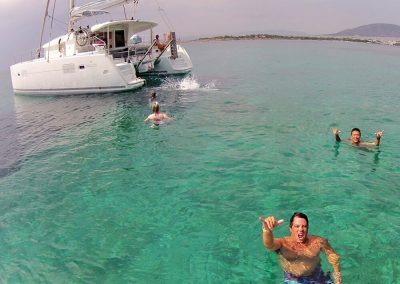 Private charters are available for large groups. You can enquire here at [email protected].